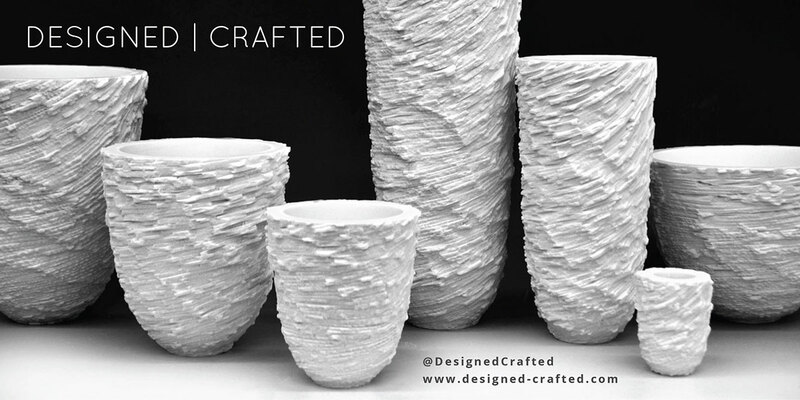 I’m delighted to announce our new Designed | Crafted exhibition for London Design Festival 2015. We will be returning for the second year running to the Society of Designer Craftsmen Gallery in Shoreditch. We have a final list of twelve artists – some of whom we’ve worked with before and invited back, and some of whom are new artists we have plucked from the membership of the Society of Designer Craftsmen. We are super excited that one of our artists will be the international maker Andrew Logan who is renowned for the flair and fantasy in his sculptural pieces. Our showcase explores the fine line between craft and design, showing contemporary work at its best in this delightfully intimate gallery in the heart of Shoreditch. From sand–etched glass and wood, embellished textiles and porcelain to bird skulls and preserved fish skins, this is where cutting edge crafts meets dreamland. To read about all the artists, see our website. We will be open from 11am-7pm every day from Monday 14 to Saturday 26 September. You’re right, they really do. Thanks, Annie. We hope to come to the private view on the 22 sept. Wonderful! I shall make sure we have a couple of glasses of wine ready for you!